Parker SR1 Stainless Steel Straight Edge Razor is designed to give you a close shave with a high-quality razor for a low price. You can get the same quality shave at home as you can at a barbershop with a Parker. The blade is stainless steel, unlike other straight razors that are equipped with an aluminum blade. The blade locks in place to ensure it is inserted correctly. The blade compartment is rounded, so you do not have to fear getting cut since the blade is not exposed when closed. It is lightweight making it great for beginners. The razor is constructed better than most other brands and is built of stainless steel instead of aluminum. Closer shave than an ordinary razor. 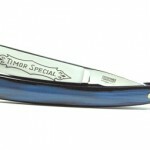 A straight razor will allow you to get a more precise shave. You do not have to buy a new razor if you chip or crack the blade. The razor is more lightweight than other straight razors which is suitable for a beginner to make shaving much easier. Other brands tend to be heavy making it easy for you to cut yourself accidently. Many straight razors have plastic clamps that hold the blade in place. The Parker Straight Razor does not have plastic parts that are easy to break. The razor is held together by cheap rivets. 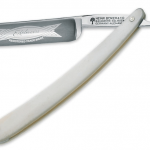 If you want a more solid straight razor, you should look for the more expensive ones. The alignment is a little off making it a little harder to open than you would like. I recommend you open it slow instead of snatching it open. The razor flimsy. This might make you feel a little uncomfortable. The razor is extremely light. If you have thick facial hair, it will not cut as good as you would like. Takes longer to shave than other razors since the blade in a straight razor is much sharper, and you have to take your time to avoid cuts. It takes time to learn how to shave with a straight razor. If you try to speed through shaving as a learner, you will end up with nasty cuts. Parker is a family owned company. A family in India owns it. The Grover’s started the company in 1973. 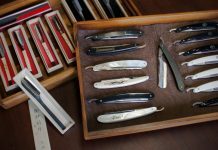 Since the company was started, they have had several items added to their line like Shavette Razors, Barber Razors, Unisex Razors, and Shave Soaps. The company is better known for their safety razors. They strive to make professional quality razors and offer them at a cheaper price than other professional grade razors. Their razors are handcrafted to ensure you get the best quality product they can offer. They also craft their products from the finest materials available. They have been making customers worldwide happy with their products for more than forty years. 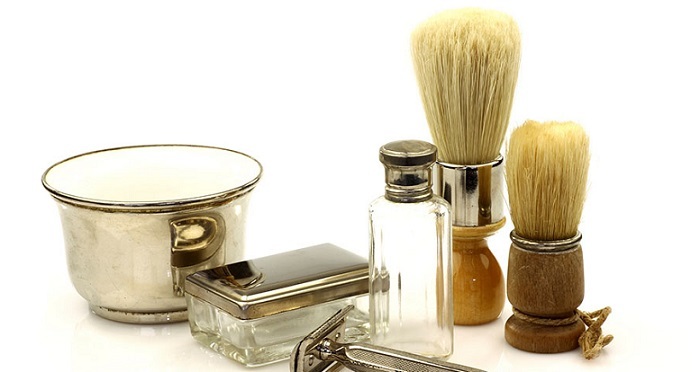 The top grooming companies offer Parker products. They have an extensive line of products to choose from whether you are a beginner or professional. A Parker Razor has never been duplicated, unlike many other brands that you often can’t tell whether it is the actual brand or a black market product. In my opinion, this is a good razor for a beginner. 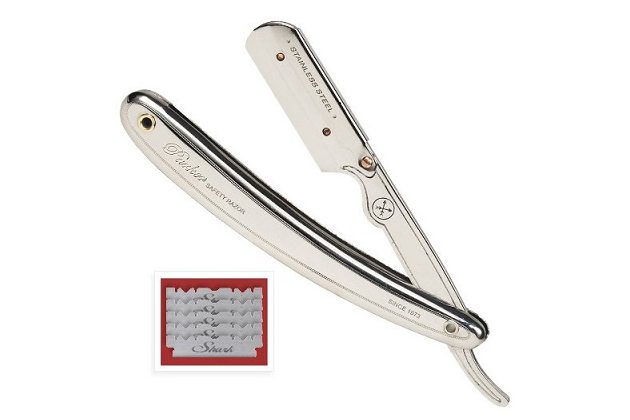 A professional wouldn’t like this razor since it is a lower quality than many other professional straight razors. 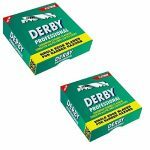 You will receive the best product available for $19.99 if you are a beginner, and you are looking to start using a straight razor. I like the fact that is isn’t double edged and that the blade compartment is rounded to minimize your chances of being cut. The razor also comes with five Shark Blades. Shark Blades are high-quality blades that many professionals choose. The company offers professional grade razors that are of higher quality, but I recommend this razor if you have not used a straight razor before. 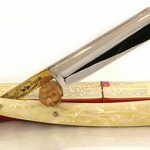 Shaving with a straight razor takes some learning, and this razor is designed to make it easier to learn. 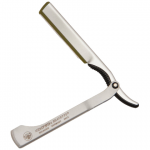 I recommend you compare this straight razor with others you are looking into purchasing. This razor is definitely a professional grade razor for a low price. Three of the top-rated straight razors for beginners are the Parker SR1, Gold Dollar Straight Razor, and the Personna Straight Razor. They are all unique and have different features. The Parker SR1 has received more reviews than any of the other straight razors listed. 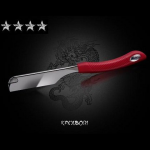 The main reasons it has received more reviews is the price and the fact that it is made of stainless steel unlike some of the others on the market. 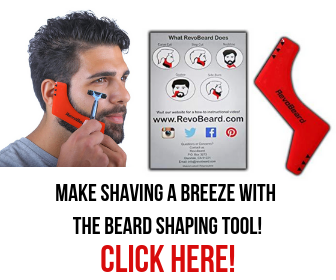 Beginners do not want to spend a fortune on a razor not knowing how to use it or if they will actually like the transition from an ordinary razor. The Personna razor is cheaper, but the quality of the razor is not as good as the other two. The Gold Dollar Straight Razor is offered as a set containing everything you need for your first shave upon its arrival. I also recommend the Parker SR1 because it is not double-edged like the other two. 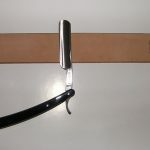 In my opinion, a beginner should steer clear of a double-edged straight razor. 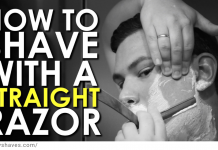 As a beginner, you could easily cut yourself as you learn how to shave correctly with one. 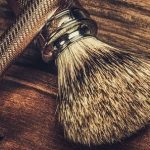 If you are a beginner, I recommend you comparing the Parker SR1 and the Gold Dollar Straight Razor since they are better quality razors than the Personna and have many more reviews by happy customers. I would settle with the Parker SR1 since it is not double-edged, and I would have to fear cutting myself as easily while I am still learning.